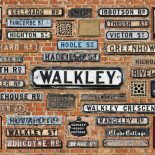 The Walkley – Who’s Living in a Slum? exhibition is now in Sheffield Winter Gardens until Sunday 6th October. Who’s Living in a Slum?